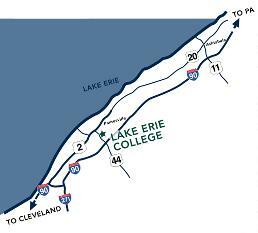 Drive east on I-90 to the Route 44 Exit (#200). Turn right onto Route 44 North. The next exit is Route 84. Take this exit. At the exit, turn right and follow route 84. At the first light, turn left onto Liberty Street. Continue to the W. Walnut Avenue intersection and turn left. Go to the first traffic light, which intersects Gillett Street. The Jerome T. Osborne Family Athletic & Wellness Center is on the corner of this intersection. If this parking lot is full or if you are attending an outdoor event, continue on W. Walnut to the next driveway on the right. Drive east on Route 2 to the Route 44 Exit South. Follow Route 44 South to the first exit which is Jackson Street. At the exit, turn left at the traffic light onto Jackson Street. Continue to the second traffic light which is Grant Street. Turn right onto Grant Street. It will become W. Walnut Avenue at the traffic light. Continue through the traffic light. Pass Magnolia and Levan Streets which will be on your left. The next driveway after Levan Street will be the parking lot for outdoor competitions. 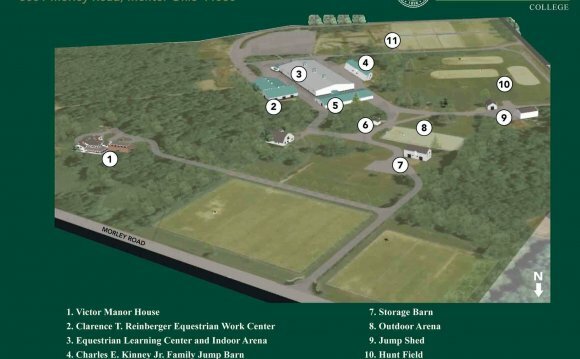 If you are attending an indoor competition, continue past this driveway on W. Walnut Avenue to the Jerome T. Osborne Family Athletic & Wellness Center parking lot which will be on the left. Drive west on I-90 to the Route 44 Exit (#200). Take I-271 North to I-90 East. Please note, there is no exact address for this facility when using web mapping features. 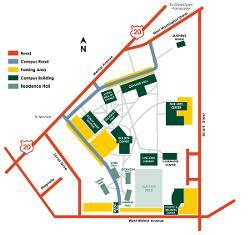 The main campus address is 391 W. Washington Street Painesville, Ohio 44077. Turn left out of the parking lot onto Gillett Street. Take Gillett Street until it ends at W. Washington Street. Turn right onto W. Washington Street. Take W. Washington Street until it ends (it will turn into E. Washington Street). At the traffic light, turn left onto State Street. At the next traffic light, turn right onto Main Street. Veer down the hill and turn left on Mill Street. The park will be on the right.